FREDONIA – Congressman Brian Higgins is returning to Chautauqua County. Officials at Fredonia State say Higgins will be the featured speaker at SUNY Fredonia’s 2013 Commencement, slated for Saturday, May 18. Two ceremonies combining bachelors, master’s and advanced certificate graduates will be held at 10 a.m. and 3 p.m. in the university’s Steele Hall arena. 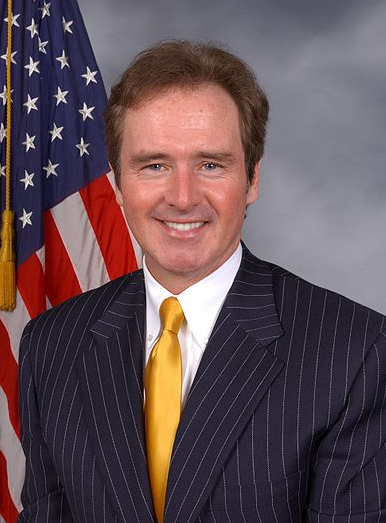 Congressman Higgins is a fourth term member of the United States House of Representatives, serving citizens of New York’s 26th Congressional District, including portions of Erie and Niagara counties. Until recently, Congressman Higgins’ district also encompassed Chautauqua County. Commencement will also be a family celebration honoring John H. Higgins, Congressman Higgins’ son, who is graduating from Fredonia during the morning ceremony with a Bachelor of Science degree in Business Administration with a concentration in Music Business.